The responsibility of the County Executive is to implement a strategy and to put in place a platform that will secure Macomb's bright future. Focusing on the duties tasked to the executive by the new County Charter, the platform focuses on five specific policy agendas. Macomb County is at a defining moment in its history. Voters enacted a new County Charter, which offers Macomb County government an opportunity to redefine the way it provides service. Focused on how to perform the duties incumbent on county government, the Macomb County Executive's plan of action for how to better serve the residents and businesses of Macomb County is centered around five policy topics. Each policy will contribute directly to bringing new businesses and residents to our county. Efficient, economical and ethical. The citizens of Macomb County voiced their need for executive leadership by implementing a new charter in 2009. Under that leadership, it is the executive's responsibility to provide a high-functioning, financially secure administration that delivers programs and services in an efficient and effective way.  Macomb is emerging as a preferred place to do business. Home to nearly 18,000 businesses and a growing workforce of more than 400,000 Macomb County possesses the resources and partnerships to help businesses succeed. Macomb County Government is committed to facilitating an environment that nurtures the entrepreneurial spirit and accelerates economic activity. Economic development is most successful when combined with meaningful community development. Adding an emphasis on place-making and enhancing community assets brings greater value to the county as a whole. Working together in partnership with local communities and community development organizations, Macomb County can better offer long-term sustainability and satisfy its residents. Macomb is Michigan's third largest county and a major contributor to the regional economy. Branding and marketing of the county is a critical part of future economic success and is vital to the long term health of not only the county, but the region. Establishing a brand identity for Macomb County that resonates with a diverse audience will help deliver a more prosperous future.